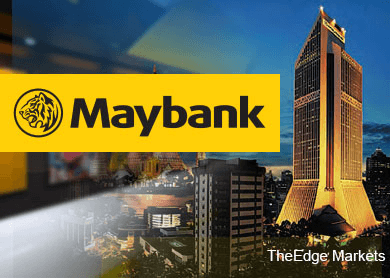 KUALA LUMPUR (Apr 15): Malayan Banking Bhd (Maybank) has launched two new mobile applications (apps) — Maybank Treats and Maybank Property Finder — today which aims to strengthen the group's digital presence as well as enhance convenience for its cards and mortgage customers. Maybank is targeting 50,000 downloads each for the Maybank Treats and Maybank Property Finder apps this year. The Maybank Treats app will provide cardholders with information on the latest promotions and offers that are available nearby, and is customised for regional markets where Maybank cardholders living in or travelling within Malaysia, Singapore, Indonesia and the Philippines will be able to access offers. The Maybank Treats app comes with an accompanying Merchant app that enables card merchants to broadcast their promotions via the iBeacon, a special bluetooth device placed at merchant stores. Meanwhile, the Maybank Property Finder app aims to assist users search for properties that are up for sale, and is powered by Propertyguru.com. Users need not be Maybank customers to use the app. Both apps are available for download via Apple's iTunes Store and the Google Play Store for free from today.